This is a puer from Menghai Yunnan, China. 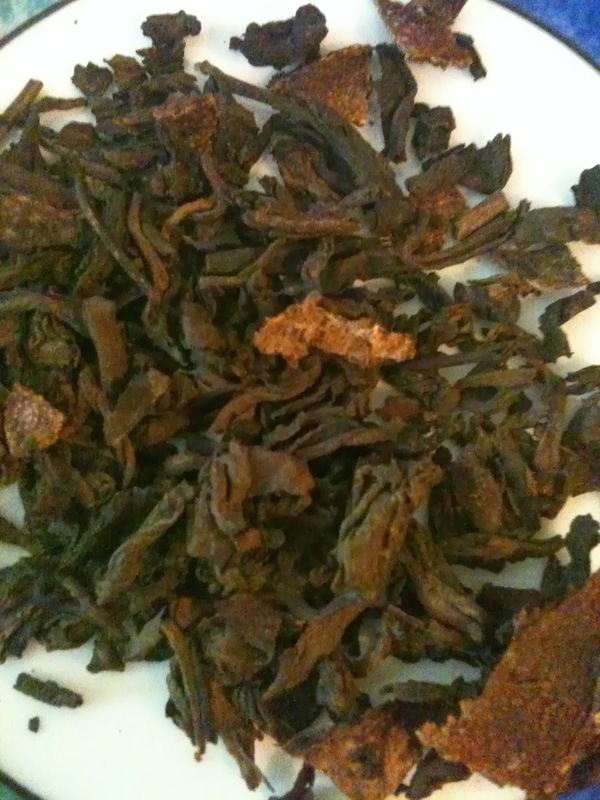 It is an aged puer - approximately 8 years old. It is about 35 grams - filled with tea. 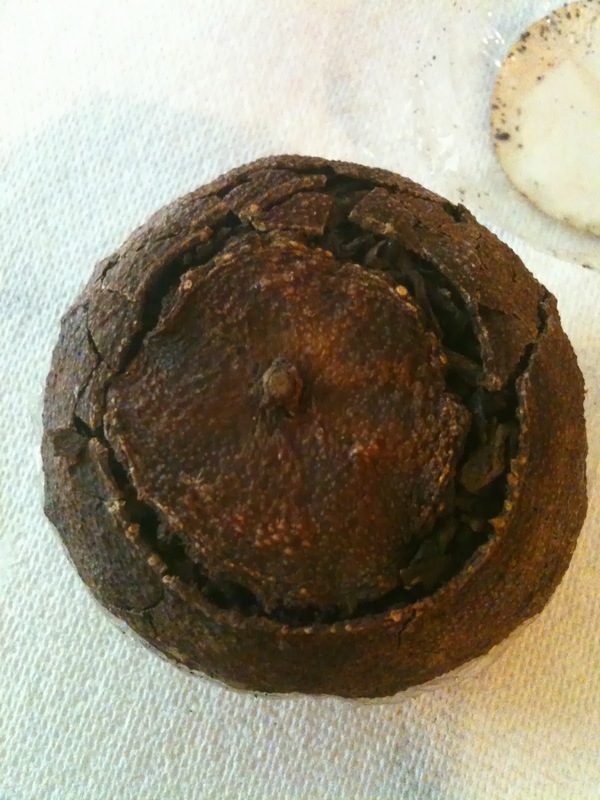 The tea is stuffed fresh into the hollowed out Tangerine and allowed to dry in the sun. It is then left to age within the Tangerine shell. The tea is steeped with pieces of the Tangerine peel. This puer is from Yunnan ecological tea garden Xishuanbanna. 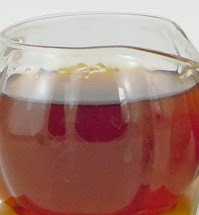 The puer steeps to a beautiful red liquor with a smooth and slightly citrus. It is clear and and reflects the light. It is an excellent tea as a digestive. The puer does not leave a dusty residue. Steep about 7-8 grams in about 100 deg F water. Steep for 5 to 10 seconds - tea wash, discard. Then add more water for a second immersion for 10 to 20 seconds. The third immersion at 30 to 40 seconds. 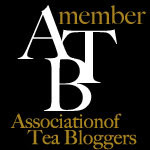 Preference is of course to the tea drinker as to how the strength of the tea is preferred.